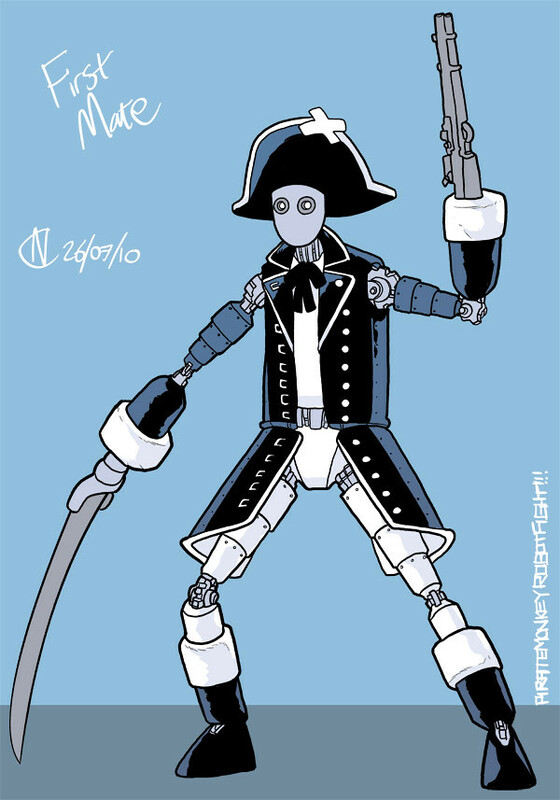 Here is today's entry in the piratemonkeyrobotfight, an ongoing project whereby when I feel like it, I draw pirate monkeys and navy robots, and then at some point make them fight. How many's a good number to aim for? 50 of each? I want it to be a satisfying fight. 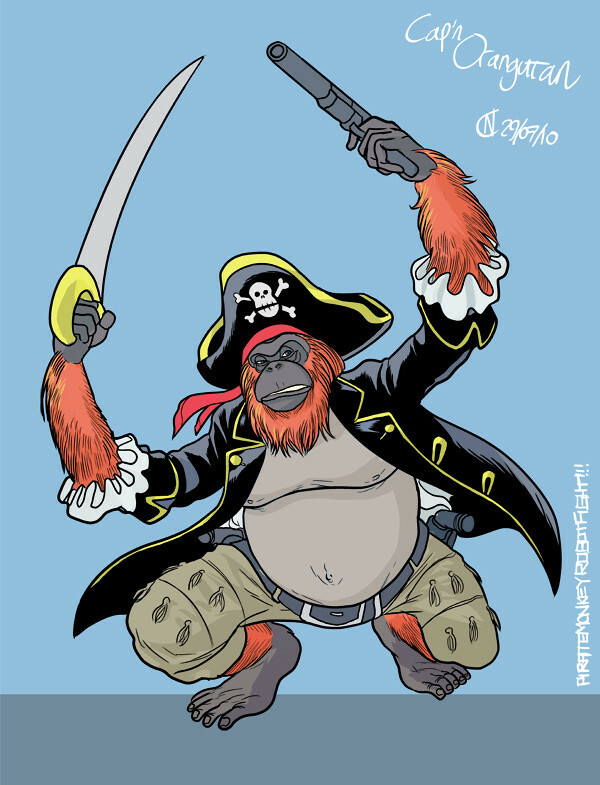 So what it is, is, I thought I'd draw a bunch of Pirate Monkeys. And Robots. And at some point, when I feel I have drawn enough, make them FIGHT. 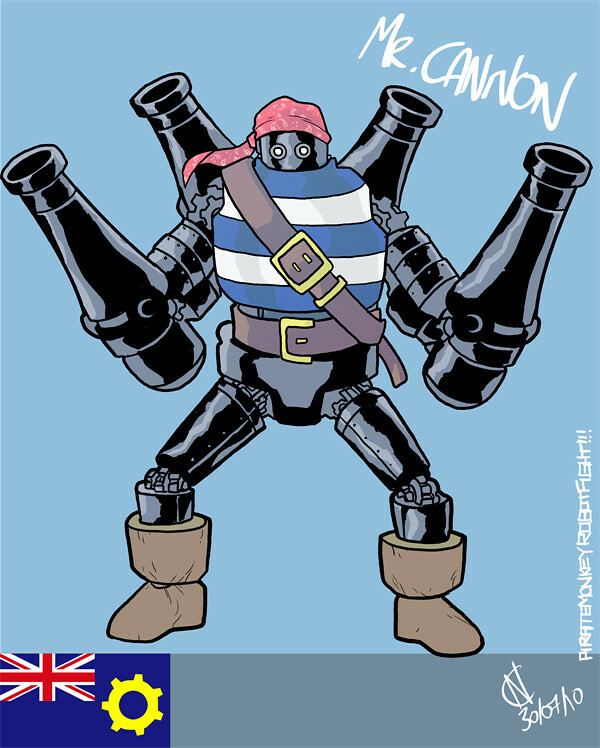 Yeah yeah, it's a piratemonkeyrobotfight! 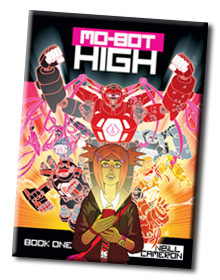 I've been drawing a few promo pics of some of the characters from Mo-Bot High - haven't quite figured out what to do with 'em, just fancied drawing some mo-bots really. Anyway, as an experiment / fun thing, I thought I'd try posting the results to my twitter account at each stage of completion, so people could follow how I produce an image, from roughs to colours. Anyway, here are the collated results! 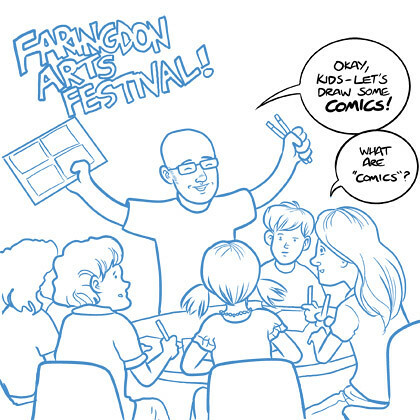 I had a lovely time at the Faringdon Arts Festival on Saturday - wandering around the town, enjoying the music, scoffing calzones and - pertinently - giving a little talk / workshop on making comics for some of the local youth. I brought along my patent-pending Awesome Idea Generator, a highly complicated and technical device I invented specially for the occasion. After a slightly nervy start where I was convinced absolutely no-one was going to show up (because, after all, who the hell am I?) a bunch of kids did, in fact, show up, and from there on in it was pretty much the funnest Saturday morning I could have hoped for. 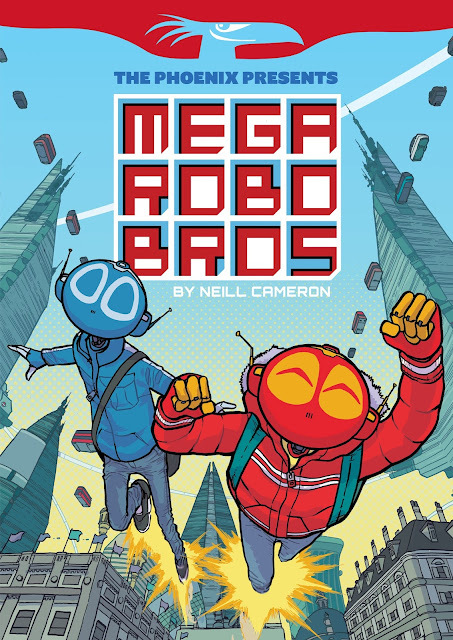 We combined the A.I.G (tm) with what I am considering christening the Cameron Technique for (Admittedly Formulaic) Comics Storytelling, and the results were, frankly, awesome. So awesome, in fact, that I feel it incumbent upon me to share some of the results here. 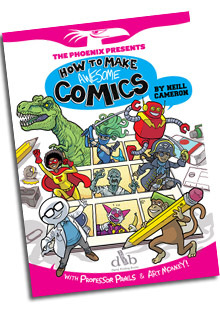 All comics are (c)2010 their respective creators. Whose names I unfortunately didn't manage to make a note of. But they know who they are! 2. 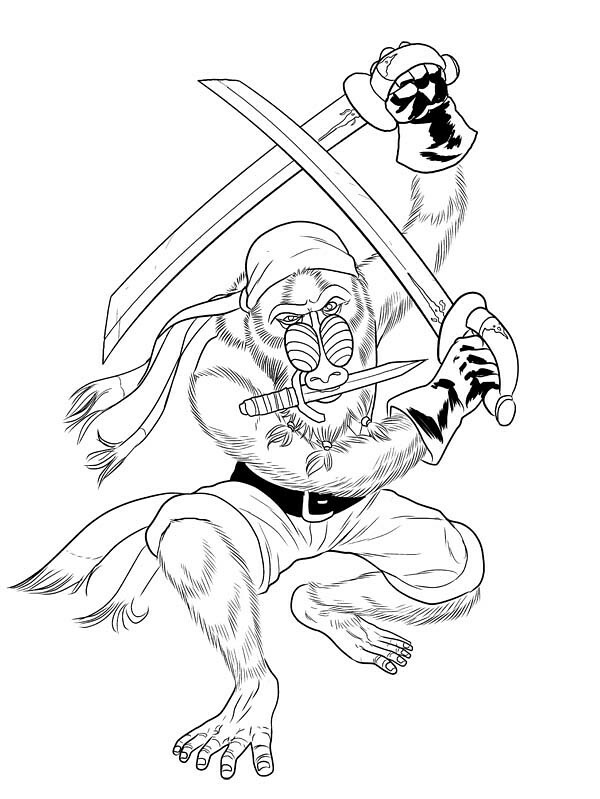 MONKEY WIZARD vs. SPY... IN THE FUTURE! 4: ALIEN DINOSAUR vs... IMOGEN! ...and that's just the few I managed to take pictures of. Anyway, thanks to the organisers for inviting me along, and to my 'students' for making it so much fun. Parents of Faringdon, your children are well-brought up and hilarious. Good work you all! 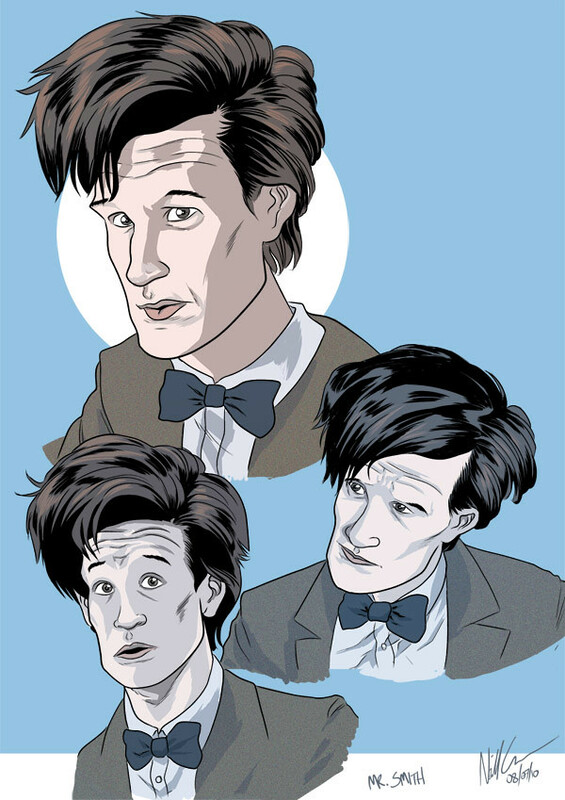 I have recently been falling hopelessly, utterly in love with Doctor Who all over again - and let's face it, I was pretty keen to start with, and thought I'd have a go at drawing the new chap. So, y'know, here he is. 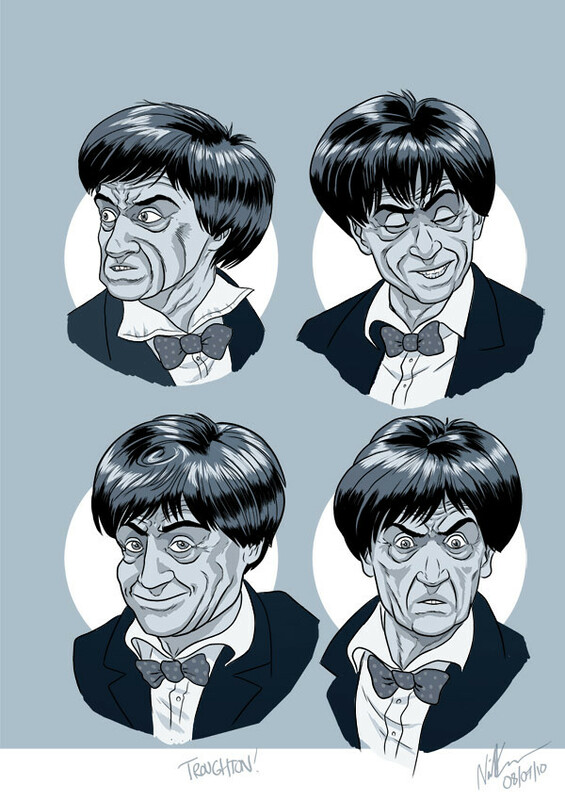 I took the opportunity to draw a few Patrick Troughtons as well, because - well, because I totally love Patrick Troughton and wanted to draw him. Who wouldn't? Look at that face! 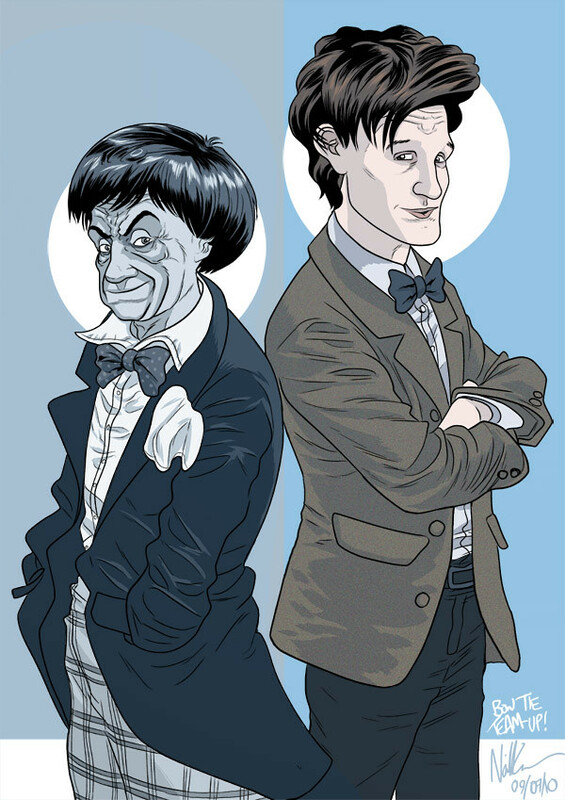 While drawing the above it dawned on me that pretty much my dream job - apart from doing Mo-Bot High, naturally - would be to illustrate a graphic novel adaptation of one of the lost Patrick Troughton Doctor Who stories. 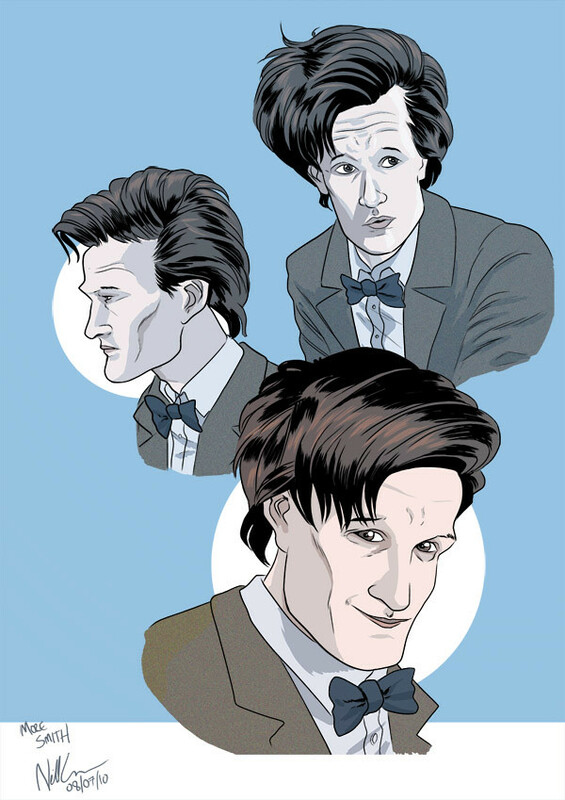 Maybe Evil of the Daleks? All the art in grayscale, obviously. Come on, that would be amazing, right? Anyway, I leave you with... team-up! 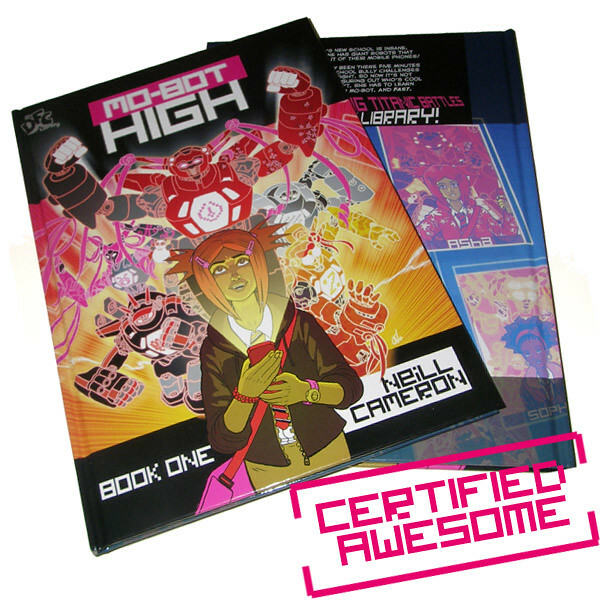 I can't begin to say how happy I am with how they've turned out - the printing and production is just gorgeous, and really suits the art I think - there's all sorts of little details and effects that maybe got a bit lost on the page in the DFC but which really come out on the shiny paper stock used for the books. I took the opportunity of putting the books together to polish up the art, too, so I'm really, really happy with it all now. Also: there is a brand new ending! And oh heavens but I am tickled with that. But sshhhh, because it is a SECRET. 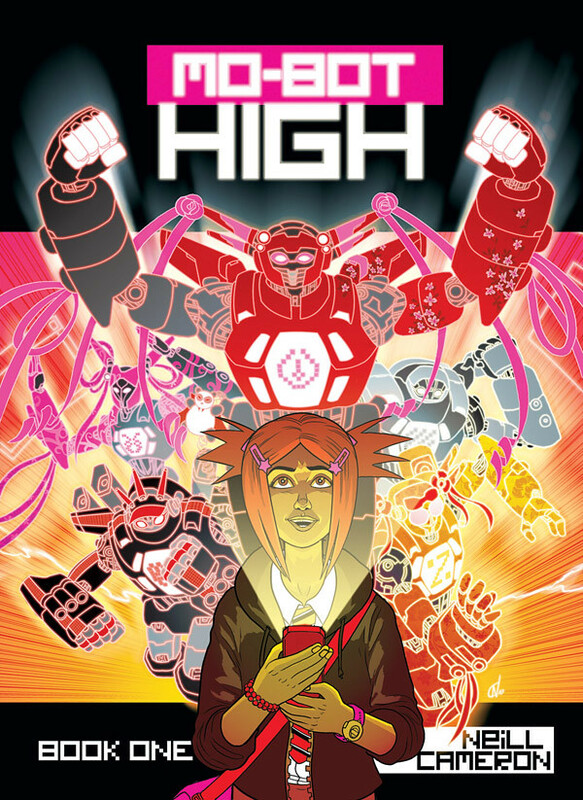 Anyway, I've started work this week on a few Mo-Bot High images to go on posters or suchlike nearer the release date, and thought I'd tweet the results as I go along, from intial scribbles to finshed art, so those of a mind to can follow the artistic process at work. You can follow the results on my twitter, where I'm tagging them with the hashtag #mobots. Lots more to come in the next few days!